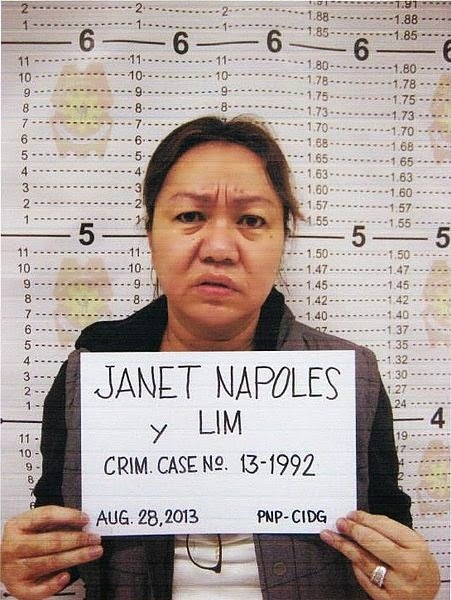 Accused mastermind pork barrel scam Janet Lim-Napoles ready to tell all - Balita Boss! After a long time of silence, accused mastermind and queen of P10 billion pork barrel scam, Janet Lim-Napoles is now READY TO SPILL THE BEANS and to prove that she is not the mastermind. “As early as now, I can say that her testimony will show that she is not the mastermind of the pork barrel scam,” Napoles spokesperson Atty. Bruce Rivera said in an interview over Radyo Inquirer 990AM. Tuesday Chief Justice Leila Delima confirmed that Janet Lim Napoles is ready to mention all of the people involved in the controversial P10 billion pork barrel scam in her said 'tell all' sworn statement. In her press-conference Justice Secretary Leila De Lima also ratify that the government now have a strong case against senators Juan Ponce Enrile, Jose “Jinggoy” Estrada and Ramon “Bong” Revilla regarding the scam. Napoles also revealed all of the key players of the scam in her five-hour meeting at the Makati Hospital with De Lima last Monday. "There are more details, more information from Mrs. Napoles... but not everything. Mrs. Napoles appears to know these things. But I cannot share with you the details," De Lima said. Furthermore in the connection to the queen's 'tell-all' she also spoke to former Senator Panfilo Lacson together with her husband former military officer Jimmy Napoles and two daughters in Lacson's office in Taguig. More than a hundred government officials from the present and previous administrations have been implicated in a draft affidavit one-fourth ream-thick that her family provided him last month. However Lacson didn't believe that it was a 'tell-all' statement at all. According to him that there are information that he knew yet Napoles din not included in the said affidavit. He will also testify all the information he learned. Possibilities of Napoles being state witness was still under the heed of the Department of Justice and as early as this time it was already disagreed by many and splits the opinions of concerns.